Most of us would like to die at home, surrounded by our loved ones, but many haven’t made the necessary plans. 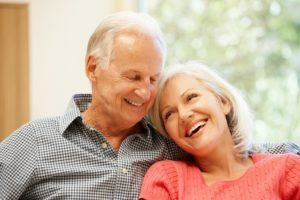 Getting your advance directive and healthcare power of attorney documents in place can be a gift to both you and your family. Think about your goals, values and beliefs. What do you feel are the three most important things you want your friends, family and loved ones to know? Think about who you would want to make decisions for you if you could not make them for yourself. Have a conversation with your medical providers about your care. Do you have any concerns you need to talk about? There are community resources available to help you learn more about advance care planning and how to complete the necessary documents. Join CarePartners at the Community ACP Clinic on the fourth Tuesday of the month at the West Asheville Library, from 6 to 7:30 p.m. For more information, contact Dylan Babb at (828) 775-7111 or dylan.babb@msj.org.